The Heimbourg vineyard is one of the little single vineyard located on the secondary and tertiary fractured area in Turckheim, in the continuation of the primary granite vineyards. In this area, the geology varies quickly on short distances, explaining why these vineyards are so small (Clos Jebsal, Boland and Heimbourg). He Heimbourg is the only one facing south-west to west, on an Oligocen poor limestone top soil. The top part of the vineyard, the most exposed to winds and poorest, is planted with the Pinot-Grape. It basically enjoys a similar context as the Rotenberg on the other side of the valley, but with a much lower iron content, therefore often producing more aromatic and early expressive wines. 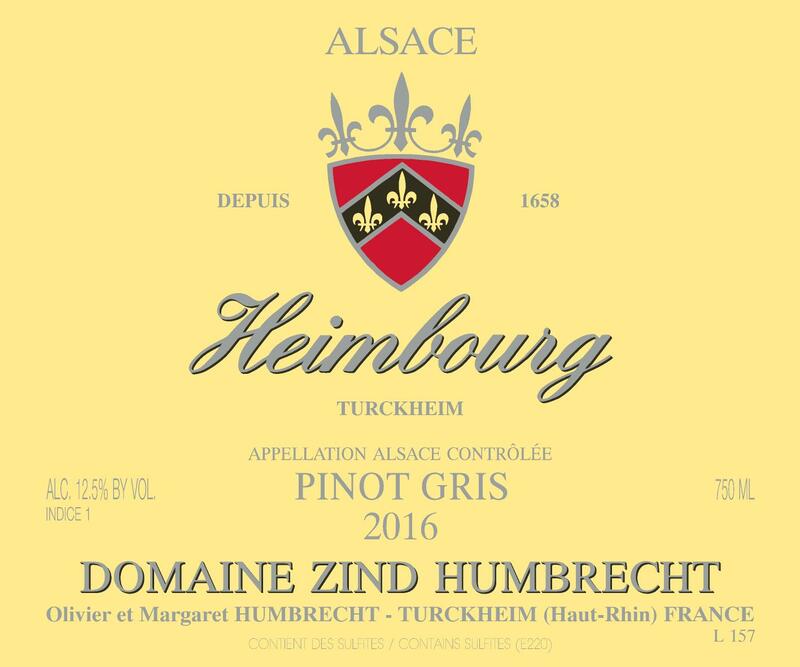 Like most Pinot-Gris in 2016, the grapes ripen to perfection at a lower alcohol potential, producing an elegant dry wine.